Seeing Chronic Fatigue Syndrome as a dysfunctional Autonomic Nervous System allows people to look at the role stress hormones may play in onset and maintenance of the condition. This opens up many potential factors which therefore requires the Lightning Process to be a broad and personalised approach. People who take on the training need to be ready to take a look at the role stress hormones play. One factor linked in with stress hormones for some people is often missed – perfectionism. I put perfectionism up there with depression and anxiety as a force for devastation in someone’s life and on closer inspection it becomes clear the role it can play in placing a burden on ones health, stress response and well being. It can be so misunderstood that people still talk of it being an honarable or light hearted thing – “I’m a bit of a perfectionist”. Hopefully they are just confusing high standards with perfectionism. There is a big difference. Perfectionism has nothing to do with results. People have a stereotypical image of a perfectionist which means they often are blind to it in themselves. Just like people might be blind to their anxiety because people see it as being a person hiding behind their curtain afraid to go outside. Similarly a perfectionist is not only someone who likes to straighten crocked pictures. Having high standards can be important. It can keep us on track to achieving what we want from life. It can motivate us to transform our lives or be a check to keep our lives in balance. So hopefully goals and standards are healthy tools. But a perfectionist uses goals and standards differently. There are many flavours to perfectionism just as there are to anxiety. But a perfectionist tends to set standards that are unrealistically high. But not realising that their goal is inappropriate, a perfectionist sets off to achieve the impossible. Like a hamster in a hamster-wheel off they go. Not realising the goal is unachievable, when they fall short they just work harder and become self critical. If they do actually achieve their goal, they assume the standard was set too low so raise the standard, and set off again on an ever increasing journey into impossibility. 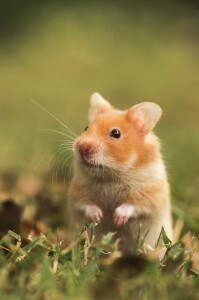 Faster Hamster Faster! Sometimes it might not actually be standard they are aiming for but the inflexability around achieving the standard. “I should work hard” (which is a common goal) becomes “I should work hard all the time regardless of circumstance”. So in this situation getting sick does not allow this person to temporary adjust their behaviour. The inflexibility in achieving goals and standards comes at the detriment of personal well being. This is one comment that I some times hear from people with CFS – ‘I went back to work too early’. So we address this in the training because there is no point getting well to get sick again. Perfectionists don’t even always produce quality work. Sometimes the fear of failure produces procrastination and then poor quality work. Sometimes the desire to get everything perfect can mean some perfectionists are very slow in achieving results or never finish a job. Some are so focused on getting one thing perfect they have no balance in life and some entire areas of their life fall away, fall apart or get ‘messy’. The person with the messiest house might well be a perfectionist who feels they ‘should’ work hard all the time so is at work with no time for house hold chores. The final piece which can make perfectionism so devastating for people is when they link achieving these goals to their self worth. “If I don’t achieve perfection I am a failure as a person”. 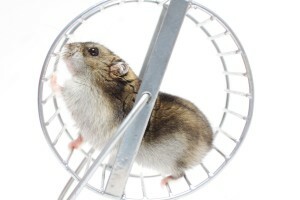 And so the hamster gallantly greases up the hamster wheel, puts their head down and keeps on running for the lives. Could all of this have an impact on stress hormones, quality of life, mental and physical well being? It’s never to late to step off the hamster wheel and do life differently. Bring in balanced, life enhancing goals, self care and self compassion, self worth regardless of achievements, mindfully striving towards a quality life with the flexibility to adapt to circumstances. There is much more to any condition than perfectionism, but can be a piece of the puzzle for some people. So people taking a training with me need to be just as committed to train them self out of perfectionism as they are to changing the thing they came for. Get off the hamster wheel of perfectionism. It’s time to stop running and start living.